Family attorney, Patrick Sampair, offers legal counsel in divorce law, child custody, paternity, and family law. Patrick Sampair is a trusted local Glendale, AZ family attorney who assists Arizonans through some of the most emotionally difficult times in their lives. Attorney at Law Patrick Sampair focuses on divorce law, child custody, spousal support, annulment, and mediation. Over the past 30+ years of his career, Patrick has acquired a wealth of knowledge in Arizona divorce law and is known for his calming approach to helping his client resolve their case. Although all parties involved in a divorce are inevitably going to suffer some losses, whether emotional or monetary, Mr. Sampair identifies all problems and discovers possible solutions. By analyzing the overall situation and keeping an eye on the most important issues, he can best foresee probably outcomes of the case. 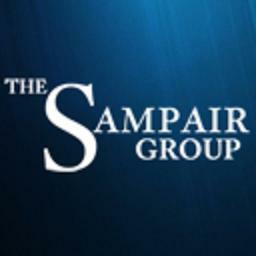 Mr. Sampair uses the latest technology to share his knowledge with his clients and those in need of quick answers to their most desperate of legal concerns. He can be found on Avvo.com where he answers real user questions regarding divorce law, child custody, and family law. His legal advice can also be found in videos on his website and on Facebook and Twitter.